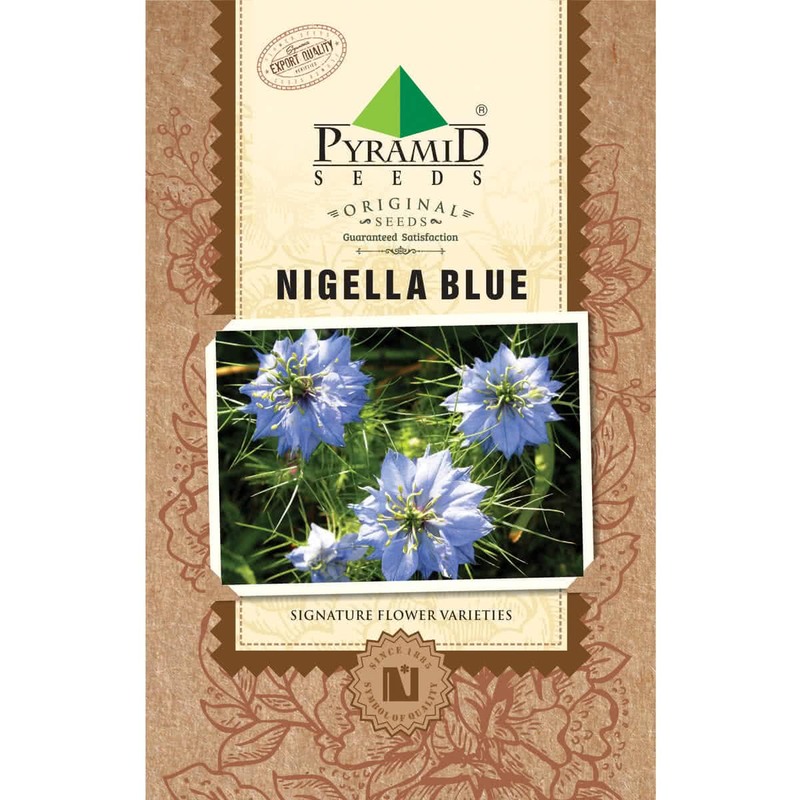 Nigella Blue is an annual plant. 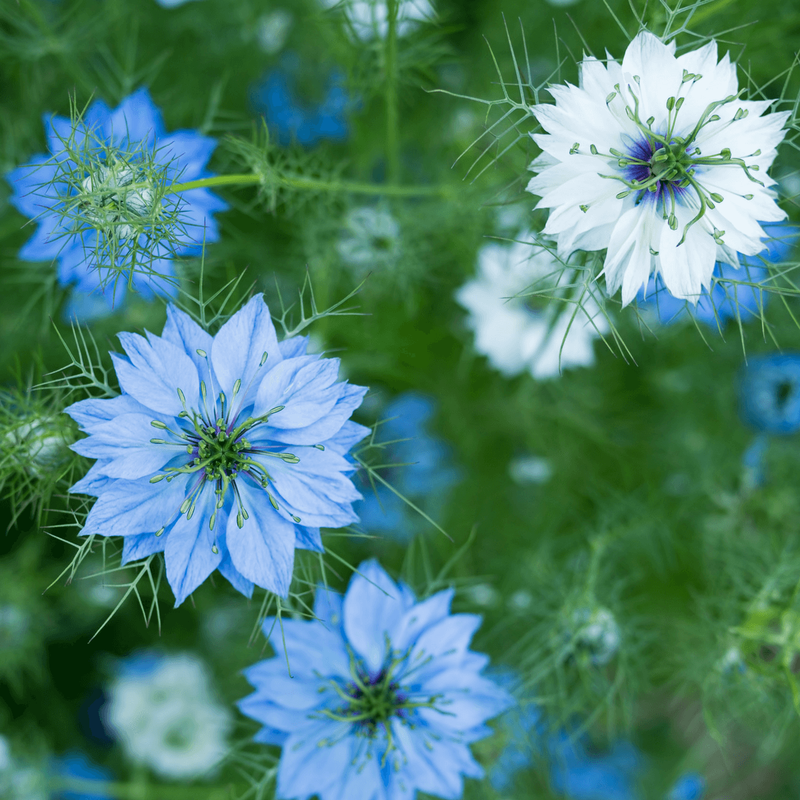 It self seeds slowly, grows in full sun. It is used as a great filler and a ideal filler. It goes well in wet soil and with a nuetral soil pH.